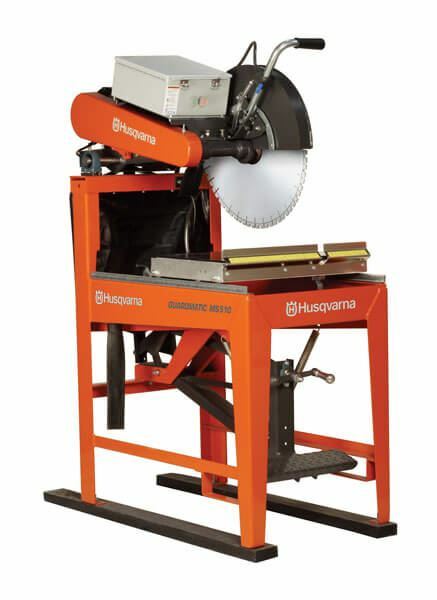 Masonry Saws, Portable / Heavy-duty - Gilson Co.
Masonry Saws from Husqvarna® are ideal for trimming concrete, asphalt and masonry specimens to size for testing. Both models feature reliable high-torque motors and heavy-duty shafts mounted on quality ball bearings. Water distribution by submersible pumps permits wet cutting. HM-60 Portable Masonry Saw offers 2,330 blade rpm from the 1.5hp electric motor, and is easy to assemble and disassemble. This model uses 14in (356mm) diameter blades for up to 5in (127mm) cut depth. It has a rigid design that works well for cutting large bricks, blocks or pavers. 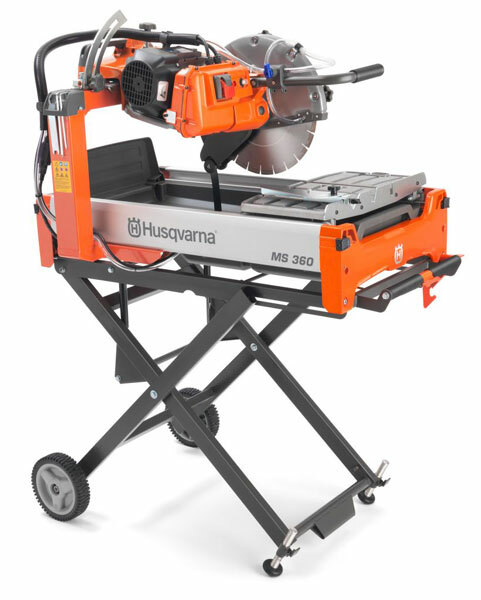 The HM-60 can rotate for 22.5 and 45 degree bevel cuts, and also switch between plunge and miter cutting. It features a unique, patented water distribution system designed to keep both the work piece and work area cleaner. A 14in (356mm) Vari-Cut® Blade is included with the HM-60. Optional Portable or Fixed-Leg stands are sold separately. HM-62 Heavy-Duty Masonry Saw is equipped with a powerful 5hp high-torque motor and 2,317 blade rpm for high-production performance. A convenient crank on the foot pedal sets table height and the patented Sta-Level® Blade Guard controls blade orientation to allow for the most accurate cuts possible. The blade guard has a built-in lip for operator safety. This unit is equipped with a dual capacitor for increased power efficiency and has only two pivot points, which reduces saw maintenance and extends life of the blade. The painted integral rigid steel support stand resists flexing and the 20in (508mm) blade capacity with 8in (203.2mm) cutting depth permits cutting of 6in (152mm) cylinders or 8in (203mm) blocks in a single pass. Premium and Super Premium Diamond Blades are sold separately.